Recently I was happened to setup a MsSql server and connect it to WSO2 G-Reg data-sources. Since it was my first experience with MsSQL server and as it really seemed like a simple walk-through could’ve been very useful for a noob just like I was, it just struck me to come up with write-up. This is nothing more than a step to step guide through setting up a MsSQL server and executing some simple SQL queries from a Java client. First download and install MsSQL server. When you are installing, make sure to install management tools for SQL server using the feature installation. The management tool will provide you the GUIs that needs to configure MsSQL server. Once the installation wizard is completed, go to All apps > Microsoft SQL Server 2014* > SQL Server 2014* Management Studio. Select Desktop authentication as the authentication option and click connect. The Desktop authentication option should have prompted at the installation and if you have proceeded with the defaults at installation process it should be available at this stage. Then you will be prompted with the available objects at the root level. To add a new user, click on security > new > login. Then provide a new login name and a new password. Make sure to select SQL server authentication for the new user since it’ll provide ability to login from, remote programs. Make sure you uncheck “Enforce password policy” and “Enforce password expiration”. Then select the current server (DESKTOP-A6480CQSQLEXPRESS) and select connect. Select SQL server authentication and provide the username and the password for the user we just created. Right click on the Databases element under the new connection and click on new database. Now lets try to write a simple Java class to connect and insert some rows to table, employees. Create a new Java program on your favourite IDE (mine is IDEA) add the following code in the main class. Add the correct* MsSQL JDBC driver to the project path to act as the bridge between the program and the MsSQL server. Checkout MsSQL JDBC driver download page here. Run the Java client. If everything has gone well, it should output something like following. PS : In case, it throws a connection refused exception change the MsSQL server port using MsSQL server Configuration Manager. JDBC driver search for the default port 1433 and it needs to be explicitly set in tcp/ip settings. Right click on “Protocols for SQLEXPRESS” and select Properties. Then make sure TCP/IP is enabled and Listen all is true. Also add 1433 as the port under “IP Addresses” tab. In the previous post I have discussed how to add a custom asset type (Registry Extension) to wso2 governance registry. There can be situations, you need to customize these publisher forms in a way that your organizations requires. Probably adding more labels, changing colours and adding a captcha. Thanks to the maximum extendibility of wso2 governance center, you can do whatever the change your organizations requires. This article will elaborate on changing a particular area of a text field of Governance Publisher related to your custom RXT. First you need to add your own custom RXT in order to add your own asset type. Read how to add a custome rxt here. For the consistency, you can use following RXT template as the extension. After adding the rxt, move to the publisher (https://localhost:9443/publisher) and you will see the asset type “Widget” there. Once you click on “add new widget”, you will be redirected to a form like following. You can do the customization to the form in two versa. Add a custom.css file for modifying sizes and colours of existing fields. Write a new template for the form with its own fields. I will first go through the easy first way and then will jump into the more useful second scenario. Every text-area in create page has its own id. Therefore it can be used to bind a new css rule to the element. Find the id of the text area that needs to be customized. (i.e. : overview_name). Then add your new style for the particular element using css id selector. Create a new helper file named create_asset.js and add the following content. Add the name of the custom css file to be pushed. Reload the page. Next time you move to “Add widget” form on publisher you will see the changes have taken place. Suppose, there is a scenario where you want your organization wants to fill out some details on the form on behalf of the registrants. Or else, you want to check the inputs for a bot using a captcha. The extensible governance center platform provides you the maximum extensibility by adding your own .hbs (handlebars) template to be populated. Assume that compared to the large palette of input fields in the “Add widget” page, you only need to show the required fields to the end user. The carbon-store platform allows you to override the default form with your own HTML/CSS/JS files. Create the wso2greg-5.1.0/repository/deployment/server/jaggeryapps/publisher/extensions/assets/widget/themes/default directory structure. This is where we are going to place all the files needs to be used by the particular asset type. Add 3 directories namely, “css”, “helpers”, “partials” in the path. Create a file named “create_form.hbs” inside partials folder and enter following snippet there. If you refer to the source of existing “Add Widget” form, you will notice that elements have been wrapped in such a hierarchy. Input fields for each entry contains the prefix of “overview_” in it’s id and you need to preserve the hierarchy, as we need these input fields to be serialized and sent to the server. ./css and ./js can be used to add more complicated verifications. Also note the form action as well. On the .hbs context, input fields needs to be identified and mapped to the rxt entries. Therefore, use “overview_<fieldname>” pattern for input names and identifiers. Once, you refresh the page you will see your new form in action instead of the default form. Axis2 handler is the smallest invocation unit of the axis2 engine, which has ability to intercept into the message flow during the runtime and operate read/write operations on an incoming or outgoing message. i.e: if you need to route messages coming with specific attributes to a different end point or count the number of messages with that attribute you can simply make use of axis2 handlers. Since, handlers has that ability of intercepting to message flow and read/write to message context, inherently they are capable of suspending the message flow. Axis2 handlers give you full authority over SOAP messages travel through. 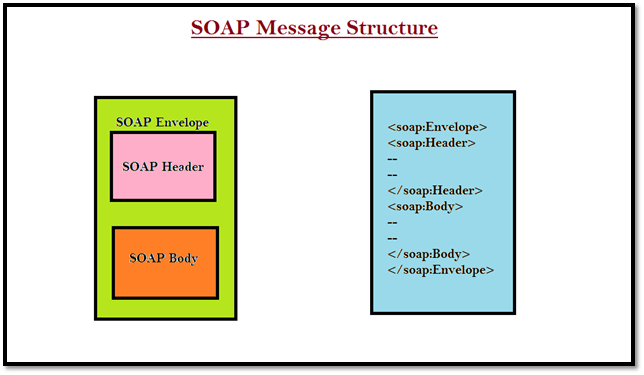 As a result of that super control, handlers can add additional headers to SOAP message, add body content and read the message header or the body. Specially, when implementing ws-reliableMessaging handlers can be used to control the flow of the message. if the message supposed to be delivered second, arrives first it can be hold till the first message arrives and then it can be send to execution. Axis2 comes with a list of inbuilt handlers to implement ws-* and other functionalities like parsing headers. To write a handler, you either have to extend the AbstractHandler class or implement the Handler interface. * Created by malintha on 9/25/14. method defines what has to be done with the message flow after the execution of current handler is finished. Continue: The handler thinks that the message is ready to go forward. Suspend: The handler thinks that the message cannot be sent forward since some conditions are not satisfied; so the execution is suspended. Abort: The handler thinks that there is something wrong with the message, and cannot therefore allow the message to go forward. Easiest way of packaging a handler is shipping it with an axis2 module. By that way, each handler can act independently and number of handlers can be shipped. A module is a collection of handlers along with its configurations. We can define more than one handlers within a module. Create the following directory structure in your project. LoggingModule.java No implementation in this class at the moment. InFlow – Represents the handler chain that will run when a message is coming in. OutFlow – Represents the handler chain that will run when the message is going out. OutFaultFlow – Represents the handler chain that will run when there is a fault, and the fault is going out. InFaultFlow – Represents the handler chain that will run when there is a fault, and the fault is coming in. Then you can modify the axis2.xml in order to introduce LoggingModule to the axis2 engine. Here we have defined a custome phase named LoggingPhase here. After the module is built, you may place the .jar or .mar (rename the jar file) and keep in your library dir WSO2, (repository/components/lib). attribute. Therefore the client has to update the received token. This blog post will define how to renew the received bearer type SAML 2.0 token using the WSO2 identity server’s resided token service. After the security token service is configured you can run this client as the token renewer. This client supports command line arguments to select the SAML Version and send token renew requests. In the configuration file, you can enable the renew property to send renew requests to the server. As an example,If you want to send a request for a SAML 2.0 security token, then to renew it and validate the renewed token you can do following configurations. You can see the original SAML assertion and the renewed assertion printed on the console. Here is the response for SAML 2.0 security token request and a renewal response.